A government probe into alleged abuse of Japan's public health insurance system by foreign residents has sparked controversy, with critics claiming the investigation encourages prejudice against non-Japanese. In January, the health and justice ministries began looking into alleged cases involving foreigners who fraudulently obtained residential status in order to join Japan's public insurance system as a way to avoid paying costly medical fees. The move followed concerns raised by medical workers that abuse of the system could undermine the whole public insurance scheme. But in the time since the probe was launched, no confirmed cases linked to fraudulently-obtained residential status have been found, prompting calls for the investigation to be terminated. "Conducting the probe itself gives the impression that there are many foreigners abusing the system," said Ippei Torii, head of the nonprofit Solidarity Network with Migrants in Japan. "If the probe leads to foreign residents refraining from visiting hospitals, it will go against the spirit of the public health insurance system to offer medical services that are easily available to all residents," he said. 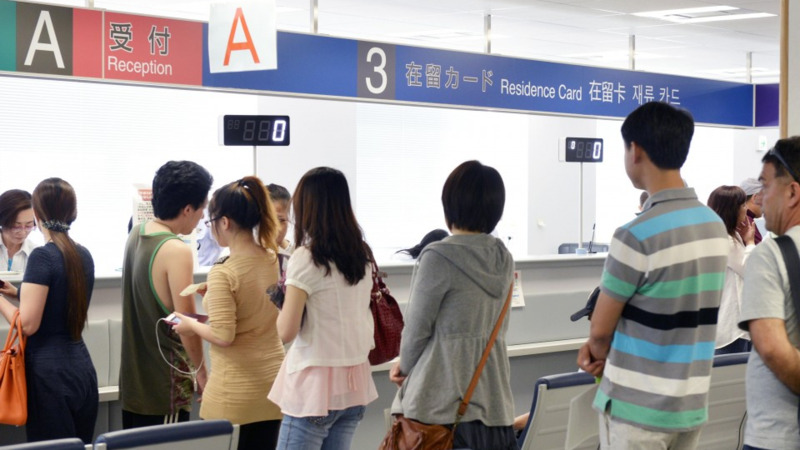 In the survey, municipal governments investigate whether foreigners who applied for expensive medical treatment soon after they joined the national health insurance program are engaged in activities compatible with their residential status. Public health insurance coverage in Japan requires a policyholder to shoulder, in principle, 30 percent of the cost incurred at medical institutions, with the remaining amount covered by the policy, in exchange for paying monthly premiums. If the legitimacy of a foreigner's status is in doubt, the Immigration Bureau will launch a further probe. Foreign nationals could be deprived of their residential status if they are found to have obtained it fraudulently. A health ministry official defended the probe, saying, "A reality check is necessary for a cool-headed debate, not as a way to emotionally blame foreigners." According to the Health, Labor and Welfare Ministry, cases of illegitimate resident status include foreigners obtaining student visas but not going to school. As of July 10, five people had been investigated by the Immigration Bureau, of whom two were cleared of any wrongdoing while three are still being probed. In Japan, all residents including foreigners must enroll in a health insurance plan provided by their employers, which also covers their dependents, or enroll in the national health insurance scheme at their local municipal offices. As of April 2016, about 950,000 foreigners were enrolled in the public insurance system. By taking advantage of the public health insurance program, which puts a cap on the monthly burden patients pay, many policyholders can bring down the cost of expensive medical treatment to the equivalent of around several hundred dollars a month. In March last year, the health ministry investigated costly medical bills incurred by foreign nationals. In the year through October 2016, 19 foreign residents received expensive medical treatment, including prescriptions for hepatitis C medication, within six months of joining the national health insurance scheme. Of the 19, the investigation found that in only two cases was there a possibility that the system had been abused. Japan had about 2.56 million foreign residents at the end of 2017 and the figure is expected to increase further as the government is planning to rely more on foreign laborers to compensate for the country's shortage of manpower.